UFO SIGHTINGS DAILY: 1km Mothership Over Cartagena, Colombia Has Residents Concerned, June 30, 2016, Video, UFO Sighting News. 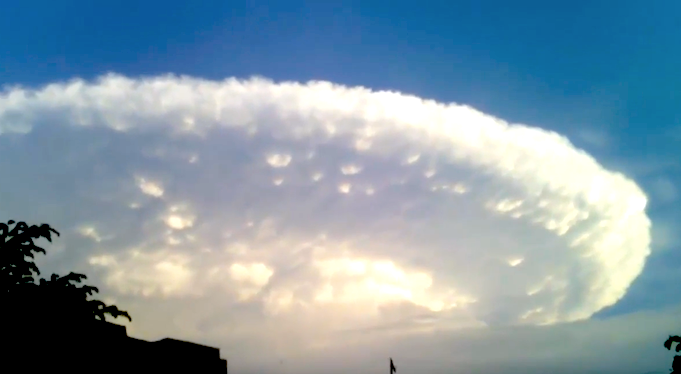 1km Mothership Over Cartagena, Colombia Has Residents Concerned, June 30, 2016, Video, UFO Sighting News. 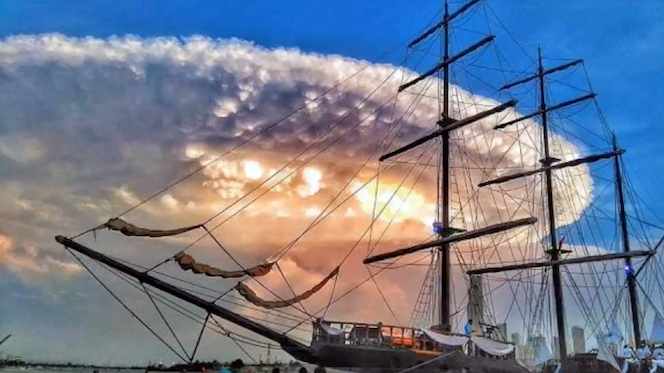 Here is a massive UFO that is cloaked inside this cloud shield. Why use a cloud shield to hide in? Honestly, how would your grandmother feel if a 1km UFO flew over your neighborhood? Yeah...a 911 emergency right? So, they do whats best and what it takes to get their ship from A to B in the safest way possible among humans. Man this came out just in time for ID4 part 2 which is in theaters right now. This UFO looks a lot like the one in the movie. If you haven't seen the new movie out...go check it out. Can't believe the video is so short. It would have been easy to get 10-30 minutes of video here. I wonder whats up with that?